Products and pricing located at GunsAmerica (click). This page is for information purposes only. 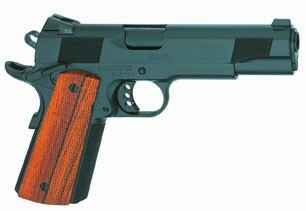 Products currently for sale are listed on Guns America and the TMC Online Store. TMC Arms is proud to offer a limited number of special edition pistols and revolvers, catering to discerning individuals and collectors. 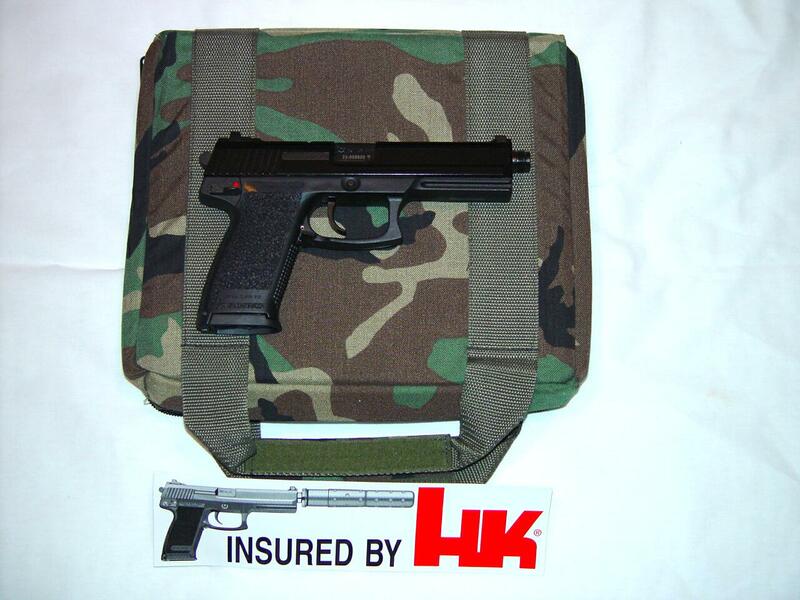 HK Mark 23's sold out, sorry. 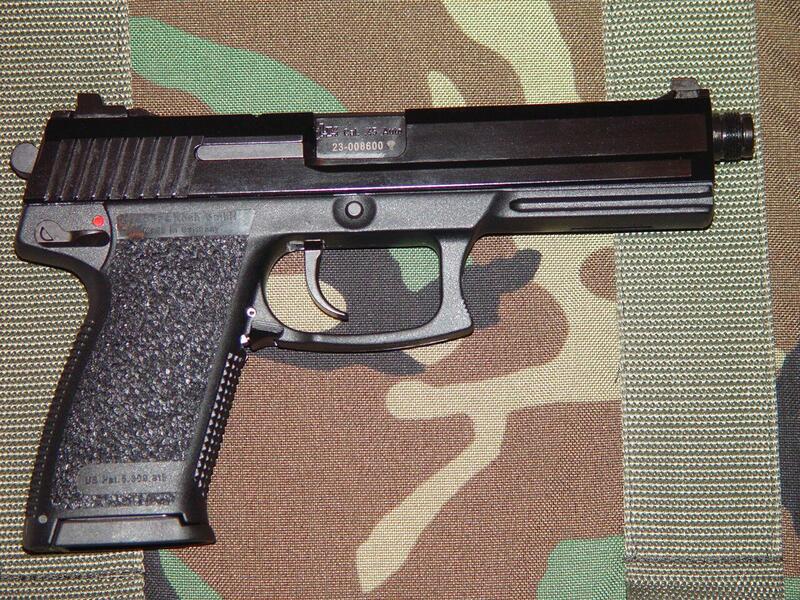 Big brother of the HK USP45 Tactical Pistol shown below. 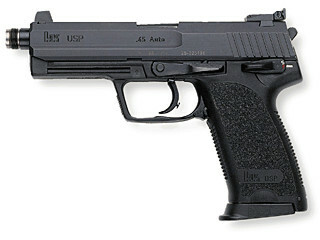 An enhanced version of the USP45, the Tactical is designed for users who need the features found on the Mark 23, but in a smaller and more affordable pistol. The USP45 Tactical pistol approaches the precision found on the Mark 23 by adding an extended threaded barrel with rubber O-ring, adjustable trigger, and adjustable target-type sights to the USP45. Width 1.26 in. 1.26 in. 1.26 in. 1.26 in. 1.53 in. Height 5.94 in. 5.87 in. 5.90 in. 5.90 in. 5.90 in. Sight Radius 7.50 in. 7.50 in. 6.34 in. 6.34 in. 7.76 in. Barrel Length 5.20 in. 5.20 in. 6.02 in. 4.92 in. 5.87 in. *US Civilian magazine capacity is 10 rounds. 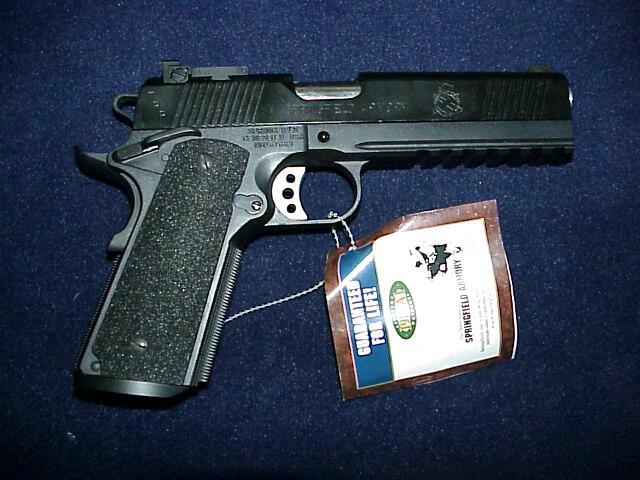 "We needed the best custom 1911 on the market — 100% reliable and reasonably priced. 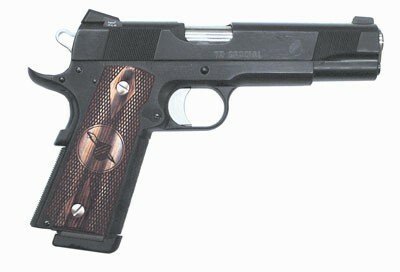 We settled on Les Baer Custom to supply us with that gun because nobody makes a better custom 1911." Baer steel NM frame • Baer forged steel NM slide with front and rear serrations • Slide fitted to frame • Baer forged NM barrel with stainless match bushing • Baer deluxe fixed combat sight • Baer dovetail ramp type front sight • Lowered and flared ejection port • Baer checkered slide stop • Baer extended ejector • Baer tactical style ambi safety • Baer match trigger • Baer checkered flat mainspring housing • Checkered front strap 30 lpi • Fitted and tuned extractor • Beveled mag well • Complete tactical action job • Baer beavertail safety with pad • Baer deluxe Commander hammer and sear • Tritium night sights installed front and rear • Deburred for tactical carry • Special BEAR COAT™ finish on complete pistol for maximum corrosion resistance • Baer Premium Checkered Cocobolo grips • Tuned for total reliability • Test fired with Federal 230 grain Hydra-Shok ammo and Remington Sabre 230 grain H.P. ammo and guaranteed to shoot 21/2" groups at 50 yards • (3) 8-round premium magazines • Special wooden presentation box. Comes with Les Baer wooden presentation box! The new TRP Operator model has the same integral light mounting rail as the Mil-Spec Operator plus all the superb features of Springfield's TRP pistols. 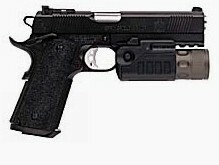 This extreme duty firearm has unique features such as forward placement of the fully adjustable rear sight on the slide. The TRP Operator is truly the best of the best (light not included). Trigger Pull: 4.5 to 5 lbs.